We accept Medicaid, Medicare and all major insurances. Please inquire for details. 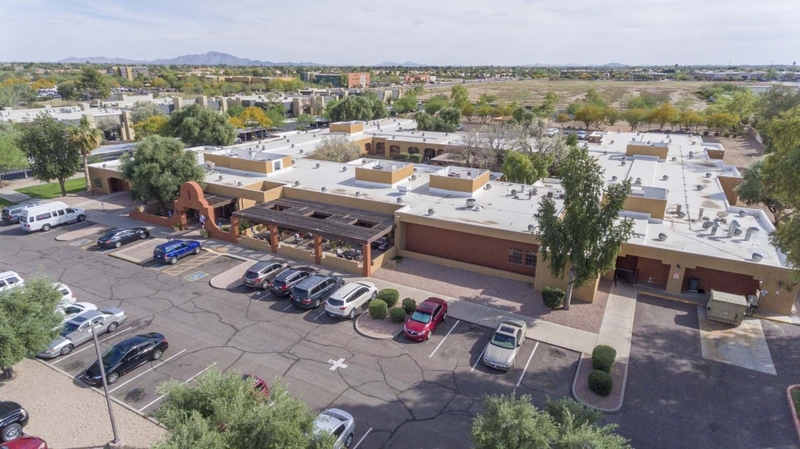 Chandler Post Acute and Rehabilitation is a modern, state-of-the-art skilled nursing facility, located just west of Chandler Regional Medical Center and South Dobson Road. We feature 120 beds and beautiful spacious rooms in either private or semi-private settings. Guests will enjoy well-appointed accommodations, a diverse activities program, nutritious satisfying menus, housekeeping and laundry services, and beautifully landscaped grounds. We’re always looking for exceptional professionals to join our team, so if you’re looking to make a change to work at a truly remarkable place, we encourage you to contact us. Nurses, clinicians, therapists, and other medical professionals in the senior care field that not only love what they do, but feel it is their calling – you’re the ones we want to hear from! Please send us an email; you are welcome to attach your resume along with your salary history and most recent place of employment, along with any recommendation letter(s) you may already have. We’d like to get to know you better, and look forward to hearing from you soon. Copyright © 2019 Chandler Post Acute & Rehabilitation. All Rights Reserved.